Recent Nuclear Industry events in Japan subsequent to the 11.March 2011 earthquake and resulting tsunami, generated hundreds of inquiries to me from my former patients, herbalist and naturopathic colleagues and the curious. Their questions and concerns suggested fundamental confusion about seaweeds, eating seaweeds, radioactive isotopes, radiation/radiation hazards, possible protection against radiation hazards, and possible positive remedial personal actions after exposure to known radioactive isotopes and their resulting residence in our respective unhappy bodies. A first note of importance: over the eons, life has developed with a fairly constant background level of radiation hazards, including solar radiation, cosmic rays, and incidental radioactive decay of natural isotopes. Most living organisms can safely tolerate additional, sporadic radiation. Isotopes of Hydrogen (H3=Tritium) and Radon have probably been the most frequent and abundant pre-nuclear age sources of human exposure to ionizing radioactive nuclear decay. Radon exposure is from dust, soil, underground spaces such as cliff dwellings, caves, pit houses basements, and especially deep underground mines where metals were/are mined. Radon is a decay product of Radium and has a short 4-day half-life as it decays to Polonium. Radon emits an alpha particle and some gamma radiation as it decays to Polonium. Radon decay is a known cause of radiation sickness and cancer. Radon is the heaviest gaseous element. More than 90% of absorbed Radon is eliminated by exhalation within 100 minutes. The biological half-life for removal of Radon gas from the body is 30-70 minutes, = 10 hours for nearly complete removal. Polonium decays eventually to Lead 206, a very toxic heavy metal. Tritium is produced regularly from water in the upper atmosphere from cosmic ray bombardment. Tritium can replace Hydrogen. Tritiated “heavy water”, HTO, is the only form that is a significant radiation exposure hazard for humans. Uptake of HTO vapor is almost 100% from inhalation and ingestion. HTO can also enter the body via absorption through the skin or open wounds. Tritium will also be absorbed into materials such as gloves, clothing, and metal. HTO becomes evenly distributed throughout the body’s fluids within 1-2 hours of uptake. Biological half-life is about 10 days. This can be shortened by increased water intake. All nuclear facilities routinely and accidentally release Tritium into air and water, as a gas and water. H3 has a 12.3 years half-life and emits a low energy beta particle when it decays to Helium. There is no feasible method yet to capture Tritium from nuclear facilities’ releases, so, capture is not required, and radioactive Tritium continues to be released. It is absorbed into our food plants and animals where it produces OBT= organically bound Tritium which can remain in our bodies for 10 years or longer in much larger doses than can be inhaled or ingested as HTO. Tritium has a 1.5-5.0 times more biodamage risk than gamma rays or X-Rays. Lower H3 doses can cause more cell damage than higher H3 doses. HTO cannot be removed from the environment post-release. In our present lives, the main hazards are from extraordinarily high exposures to ionizing radiation, and the increasing levels of chronic “background radiation”. In the United States, half of all ionizing radiation exposure now is from medical tests and procedures. All ionizing radiation raises all cancer risks. Ionizing radiation is sufficiently strong to break molecular bonds, creating ions from otherwise stable substances. These ions can be “free radicals” in excess of what a biological system can quench or tolerate. Large doses of ionizing radiation can also produce burns from heat. Ionizing radiation can kill cells. At the subcellular level radioactive decay can severely and negatively disrupt metabolic processes, irreversibly damage RNA and DNA and cell replication as well as reproduction in most organisms. Nuclear radiation is emitted as particles and energy released when a “radioactive isotope” decays into a different isotope or different atomic element. An example is the decay of Iodine 131 to Xenon 54, accompanied by the release of a high-energy Beta particle and a burst of high energy gamma rays (similar to X-rays). The iodine disappears irreversibly in this process. This process is what makes Iodine 131 such a health hazard: our bodies have an absolute demand and requirement for Iodine. We will take in Iodine 131 if we are even modestly Iodine deficient. That Iodine 131 will decay by one half every 8 days. Functionally, this means that after about 8-10 weeks, or two months, there will likely be no detectable body Iodine 131 from a single exposure. Amazingly, if we have a full-body compliment of Iodine 127, the naturally-occurring stable and only natural isotope of Iodine, our bodies are unlikely to uptake any I-131. How bodies are able to make this decision is a marvelous mystery; I-131 is apparently significantly heavier enough than I-127, that it can be detected and rejected. This means that regularly eating iodine-rich foods will tend to have a real radioprotective function against Iodine 131. Seaweeds are our most reliable sources of dietary iodine. Apparently, seaweeds are not as fragile as animals and the presence of I-131 does not seem to harm them noticeably. Their structural organization allows most of them to outgrow any radiation damage from I-131 decay. Other seafoods are also good sources of Iodine. Of course, we hope that these foods have little or no I-131. 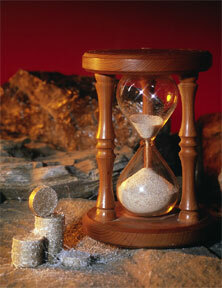 A precautionary safe practice is to let all fresh/dried seafood age 60 days prior to ingestion. This is easiest with smoked and frozen animal seafoods. In truth, iodized salt, sodium chloride, may be the safest source of iodine in terms of potential radiation damage from I-131 decay. The short half life of I-131 and its ease of entry into our bodies thru food, water, and air as well as its relative abundance in nuclear releases, makes I-131 our greatest short term radiation hazard from nuclear explosions, both intentional and unintentional. In addition, all nuclear facilities using the fission of Uranium and Plutonium, which includes all 404 nuclear power plants, all nuclear waste dumps, all nuclear-powered war machines, and other war materials, must release the decay products of that fission, usually in irregular episodes, to prevent operational nuclear disasters. With over 400 known nuclear power plants, there is more than enough for at least one nuclear release every day, somewhere on earth. These releases are totally permitted in the sanctioning of all nuclear power plants. The “authorities” have declared repeatedly that these piddly releases pose no health risk to humans. I disagree. Where does radioactive I-131 go in our bodies? Most goes directly to our respective thyroid glands, where it remains until disgorged bound up in the two main thyroid gland hormones, Thyroxine, T4, or T3, into the blood where it is usually captured by circulating globulins where it may remain for up to 4 months = plenty of time to decay and cause damage both structurally and functionally. Thyroid hormones do not function without the correct compliment of structural iodine. When Iodine 131 decays to Xenon, an entire cascade of intended activities is truncated immediately. Structural repair and metabolic work does not get done and nano lesions result. Before the Chernobyl nuclear explosions (April 26, 1986), which released enormous quantities of Iodine 131 into our atmosphere, childhood thyroid cancer was virtually unknown. A few years ago Thyroid Cancer had become, and remains the number one cancer in children. Previously variations of leukemia and other bone/bone marrow cancers were the most frequent childhood cancers. Before about 1990, when sick children arrived at hospitals in Seattle from the Tri-Cities area near the Hanford Nuclear mess, they were usually sent directly to the leukemia wards. Now they are checked for Thyroid Cancer. Thyroid cancer is also the fastest increasing cancer in men and the fastest increasing deadly cancer in women. There is truly no safe exposure to I-131. Until the nuclear age, there was no I-131. It is an artifact of the urge to build bombs and kill people. But, wait, where else does Iodine accumulate in our bodies? The distal portions of the mammary glands, the gonads, and the salivary glands; all tissues with increasing incidences of human cancers, Especially Breast Cancer. Iodine seems essential for maintaining terminal ductal mammary gland structural integrity. Testicular cancer is increasingly detected in older men; previously, it was observed primarily in adolescent and post-adolescent human males. Iodine 131, as well as the other abundant radioactive isotopes from nuclear power plants, is dangerous no matter what its source. I-131 in seaweeds, seafood, vegetables, dairy products, is all equally dangerous in our bodies. Two years after the Fukushima nuclear explosions, 40% of children tested in Fukushima Prefecture have thyroid disorders. Seaweeds bioaccumulate Iodine in great quantities: Nori seems to have the least amongst the most popular sea vegetables, at approximately 15 ppm, whilst Kombu (especially Icelandic Kelp) can have 1000-8000ppm of measurable Iodine. (dry weight). See seaweeds.htm for more details and references. Micro algae accumulate radioactive isotopes. Work done by Dr. Ruth Patrick’s Diatom group from the Academy of Natural Sciences in Philadelphia, on unicellular diatom growth near the Savannah River Nuclear facility showed cellular levels inside the diatoms up to 1000x the ambient levels in the river , with no apparent ill effects on the living diatoms. This mechanism of radioactive isotope accumulation has very real human health hazards. Diatoms are the most abundant and productive group of marine phytoplankton. In my real life seaweed classes on lovely rocky beaches with lush growths of various marine algae, participants often ask how come there seem to be no creatures large or small eating any of this abundant biomass. Seaweeds and algal plankton are the photosynthetic sources of most of the primary productivity in the oceans, including the intertidal zone. A few lovely invertebrates do graze on seaweeds and epipelithic microalgae, notably: sea urchins, abalones, limpets,etc. Shrimp, clams, oysters, mussels, etc. are all filter feeders. All of the large attached macroalgae eventually are dislodged from their holdfasts and shredded and milled into tiny fragments by wave action against the seaweeds’ rocky habitats. These fragments are the main foods for most of the intertidal invertebrates, especially at the bottom of the marine food chains. About 20 years ago residents of a small coastal area in Southeast England began showing strange sores and physical symptoms. The local medical officer did not know what these symptoms meant. He called in a neighboring district health officer to please come and help. The visitor immediately recognized the gross symptoms of radiation sickness: digestive tract ulcers, vomiting, diarrhea, very dry erythematic skin, malignant lesions. These folks ate a lot of seafood; many were fishing folk. They lived in several traditional fishing villages. The radiation sickness was sourced from their diets. It was claimed that they were eating a lot of Laver (Nori, red seaweed, prepared w/oats and bacon fat), which was tested and found to be lightly radioactive. Radioactive isotopes from the nearby sea were being bioaccumulated by the various seaweeds and microalgae (both attached and planktonic) and moved up the food chain from invertebrates to fish. So, in truth it wasn’t just the red seaweeds that were sources of radioactive isotopes; all of the villagers’ seafood was hot. The isotope profile was peculiar. Some of the isotopes were known only from medical applications. Serious sleuthing led investigators up the Thames river to several bankside sites which were especially “hot”. Careful waiting and watching apparently revealed the frequent dumping (disposal) of all of London’s radioactive medical waste into the river at night by a licensed waste company. The revenge of the algae. This apparently had been going on for many years, hence the presenting lesions of chronic radiation sickness displayed by the affected villagers. The other two main radioactive isotopes released by nuclear power plants, intentional and unintentional, are Cesium 137 and Strontium 90, neither of which are of special interest metabolically to either seaweeds or animals. That does not render them harmless. Everyone is regularly exposed to small amounts of both Strontium 90 and Cesium 137 from nuclear power plant atmospheric releases. Cesium 137 has a half-life of circa 30 years and decays to Barium with the release of a Beta particle and strong Gamma rays. After ingestion and uptake it tends to be evenly distributed throughout the body’s soft tissues. More in muscle than in bone and fat; it is not an essential element and is slowly eliminated via kidneys and urine. It is the most alkaline of metals and melts at about 83oF to a liquid. It is sourced as a byproduct of lithium mining. Strontium 90 has a half life of 29 years and decays to Yttrium 90 with emission of a moderate energy Beta particle and no gamma radiation. Yttrium 90 has a half life of 64 hours with the release of high energy Beta particles as it decays to Zirconium. So, it is the radioactive decay of Yttrium that is the actual main source of cancer-inducing nuclear decay radiation from Strontium 90. Everyone is continually exposed to Sr 90;about 20-30% of ingested Sr 90 is absorbed and moves mostly to bones and teeth (and, high-calcium using soft tissues such as mammary and prostate glands). 70-80% is usually excreted. Sr exposure is positively linked to bone cancer, bone marrow cancers, and leukemia; and by implication, breast and prostate cancers. It is detected by urinalysis/bioassay. Since the Fukishima nuclear explosions and Radioactive Isotope releases, members of the Seaweed Stewardship Alliance (commercial hand-harvesters of dietary seaweeds in California, Oregon, Washington) have been in continual contact with health and environmental agencies who are monitoring the levels of Fukishima-sourced radioisotopes. As of 1.June only traces of I-131 have been detected in West Coast seaweeds tested. In BC, Canada, government and University scientists are testing seaweeds for Fukishima radioisotopes. Regular consumption of dietary seaweeds, especially brown seaweeds (all kelps, such as: Kombu, Wakame, Macrocystis, Nereocystis, Fucus, Ascophyllum) seems to armor the body against the potential damages resulting from exposure to atomic radiation.This was first determined by studying the diets of survivors of the only two nuclear bomb drops, the bombs dropped on Hiroshima and later Nagasaki, Japan in August 1945. The survivors of greatest interest were those who had been living at ground zero; mostly wards of the state (as I read it), orphans, criminals, the aged infirm, and the mentally sick. The significant dietary components were Sargassum and Hijiki seaweeds and old barley miso. These survivors were at the bottom of the Japanese food chain at the end of the war and yet they tended to survive the best considering their exposure to both mechanical and radiation trauma. I have used these data to encourage everyone to regularly consume 3-10 grams (dry weight) unrefined seaweeds daily both as radioprotective armoring and iodine loading, especially those living downwind of nuclear facilities. Furthermore, I have taught cancer patients how to harvest their own seaweeds and to order miso from South River Miso in Conway, MA 01341. Other dietary considerations include daily intakes of fresh sheep sorrel (Rumex acetosella) and fresh greens and elimination of non-organic meat, dairy, eggs, farmed fish (including shrimp and crayfish). See Diet for the Atomic Age by Sara Shannon for further info and sage advice. It may be significant that the world’s highest rates of brain cancer occur at Los Alamos, NM. The only functional adult humane response to the ongoing Nuclear hazards’ risks is to simply dismantle all nuclear facilities, power plants and weapons and military vehicles (nuclear submarines and aircraft carriers). They are all singularly unnecessary. AND, they all continually release radioactive isotopes into the air, soil, water and food on land; their wastes are apparently surreptitiously dumped at sea (see above). I believe that the ongoing radioactive isotope releases from nuclear facilities are a major cause of the continually increasing rates of human and other animal cancers and will continue to ruin our personal and collective health as long as they exist. 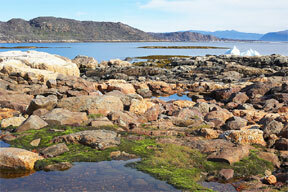 Extensive intertidal Nori farms were apparently the first known seaweed/alage aquaculture efforts. As Nori demand increased over the centuries, Nori farming moved out into shallow subtidal zones around Japan, Korea, China, Formosa, Philipines Indonesia. Nori has become the most human-consumed dietary seaweed, worldwide. It requires strict farming practices and even stricter factory practices to reliably yield a yummy stable product. Its mariculture is extremely labor-intensive, requiring continual 2-3x weekly tidal simulating lifting of the cultural substrates until harvested. Some say the Nori is cultivating people. Plus, once produced and packaged correctly, Nori has an indefinite shelf life. It is high in secondary nutrients (vitamins, minerals, secondary metabolites) and minimally salty, nearly fat-free, and relatively low in iodine. Other seaweeds, notably various species of Laminaria (Kombu, kelp) are grown in extensive aquaculture farms offshore in shallow waters for food, medicine (iodine), and phycopolymer. The largest algae farms are red seaweeds apparently grown for pigments and phycopolymers. The former used to color farmed salmon and the latter often for beauty products, both exercises in dishonesty. Huge (up to a million gallons each) open tanks of circulating seawater are used to grow mixtures of planktonic diatoms for shellfish feed and essential fatty acids. Plans are to grow diatoms as a source of fuel oils. High-fantasy plans are being proposed to fertilize vast expanses of warmer ocean waters, (especially in the South Indian Ocean) with iron and even concentrated sewage to promote diatom phytoplankton to be sold after harvesting and processing as extruded food for shellfish farms (clams, oysters, shrimp, abalone, geoducks etc) and for carbon credits. All of this presupposes that the algae, large and small will be apparently quite pleased to grow for us, become our little resource bioslaves. Slaves always revolt eventually. How will the algae turn on us? Meanwhile, throughout the human-inhabited coastal areas, ferocious algal growths clog beaches, waterways, pipes, poison fish, and consume entire fisheries. Among these prodigious productions of algal biomass, the 1-3 meter thick intertidal hightideline deposits of the lovely green seaweed, Ulva lactuca, sea lettuce have been covering and closing over 100 of the famous beaches of Brittany, especially in the summer of 2009; and, many beaches in China in summer of 2010. The nutrients for both of these “blooms” were sourced from pig farm wastes. In US east coast estuaries from Florida to Maryland, flesheating dinoflagellate blooms are continuing to consume schools of fish, birds, small rodents, lobsters via Pfisteriosis. These phenomena are best chronicled in The Rivers Ran Red by Ron Barker, documenting the work of J. Burkholder as she demonstrated conclusively that these dinohordes were being fed by wastes from pig farms. In the American Midwest for over 60 years, massive bluegreen algal mats (to two feet thick) have been paralyzing cattle and other livestock via powerful neurotoxins, the “anatoxins”. Similar death mats are growing in the Klamath river in vast stagnant lakes, fed by agricultural fertilizer runoff. A few years ago, the extremely popular dietary seaweed, Wakame (Undaria pinnifatida), was observed growing in Monterrey Bay, then San Francisco Bay, In Marin, on docks, moorage buoys, rocks; a hue and cry went up by the idiots about this awful invading seaweed from Japan. Or, somewhere over there. What silliness!! Not only is Wakame one of the top five dietary seaweeds eaten by humans, it is also perhaps the most effective against reproductive cancers, including breast cancer. What US county has the highest rates of breast cancer? Marin County!! Has Wakame come to rescue Marin women? I have seen neither science-based nor anecdotal data which indicate that seaweed baths and soaks and topical seaweed plasters are radioprotective against radiation emitted by radioactive isotope decay. Apocryphal data may yet emerge from both Chernobyl and Fukushima survivors. All coastal peoples have eaten seaweeds and used them topically as plasters and in special bathing facilities. In particular, inhabitants of Ireland, the Mediterranean coasts, the Pacific Northwest (Japan, Korea) and the Pacific Northeast have long histories of seaweed baths for relief from muscle and joint pains, eczema, ectoparasites, and prostatic swelling. In the early ‘90’s Amanda McQuade-Crawford and I were invited to teach one summer for Rosemary Gladstar in her Beyond Herbology 101 advanced Herbology Course. From West Coast to East Coast, we arrived to find a class of 12-14 excellent students, at least half of whom were already our colleagues, practicing, experienced respected herbalists. Damn. What could we tell them, especially collectively? After a quick little conference, Amanda and I announced that we would take each student for a half day as a patient, doing an intake for any and all of their respective ailments/pathologies, if any (and if not, their most intractable case in their own respective practices) as a group of all of us. What great good fortune, when all agreed that this was a great way to both personalize the course content, but also to engage the experience and diagnostic skills of all of us in common pursuit of positive patient outcomes. The days went quickly, with a lot of sharing of novel treatments and effective herbal usages. One woman (all of the students were women…) waited until the last half day. She was a very successful herbal business woman and greatly respected by all of us. She was seemingly reluctant to present either herself or a case. We all had observed her hobbling around with the aid of a cane; I had spied a walker in the back of her station wagon whilst passing thru the parking area. I suspected she had some leg problems. Sighing, she started: “I have a confession to make…. I have been leading a secret life besides being a successful herbal businesswoman. For over 25 years I have been a professional CLOWN!”; on weekends. Some shock, relief, amazement, great interest. She went on to explain, that she specialized in parties for children, and, as she aged, she became determinedly more active and vigorous in her clowning around, jumping from chairs and tables, and sometimes higher elevations. So none would suspect that there was a little old lady under the extensive make-up and clown garb. As the years progressed the wear and tear on her poor knees had also progressed to where she was in great pain much of the time, especially walking. She described how she had just contracted to have all of her herbs planted in sturdy raised beds in a greenhouse so she could tend them from a wheelchair. In years previously, she had happily tended her herb gardens on her knees. She dreaded a professional knee specialist’s probable recommendation of surgery, even knee replacements (with good reason). She tearfully wondered if any of us could offer herbal resolution of her knees’ condition. Some suggestions for herbal painkillers, arnica oil massages, willow bark/poplar bud tinctures/oils topically. I waited until the very last to announce that I was certain I could fix her knees if she was completely compliant with my advice/.treatment plan. The plan was: soak her legs in a hot Fucus (Bladderwrack) bath for at least 4 hours each day for a year. When she categorically refused and the others suppressed potential sneers and derision, I reminded her that I would visit and push her around in her wheelchair at least once a year as her knees continued to deteriorate. 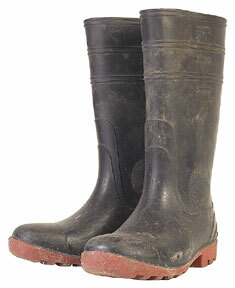 We agreed on a compromise when I offered her my 16-inch high rubber boots, several sizes too large for her. Hot Fucus slurry, made with DRIED FUCUS, would be poured into the boots, leaving a few inches of freeboard at the top to reduce spillage as she walked. She was to place her feet in the boats and wear them for 4 or more hours each day. The Fucus slurry could be reused for several days after refrigeration each night to retard putrefaction and comcomitant vile seaweed decay odors. That way she could sit at her shop, walk around, not trapped at a tub or deep bucket. I suspected from earlier cases that her knees did not need to be submerged in the Fucus slurry for a possible cure to be affected. Not only did I give her my seaweed harvester’s boots on the spot, I also promised to provide all of the Fucus needed at no cost to her. Heat would be a problem in the cold Upstate New York winters; a heating pad applied externally to the boots could alleviate that impediment. All she had to do was to comply, and that included no more clowning around. After 15 years she could still walk just fine. She asked me if she could bronze my boots. I said of course, but that the EPA would possibly object. We did not have X-Rays for before and after images. We only had her functioning knees post-treatment. The winter before going to Rosemary’s to teach, my two sons and I were messing about the Mediterranean Sea in search of Corsican Moss, and an opportunity to partake in the luxurious fabled seaweed treatments in special spas near Montpelier. We spent several days whilst I vainly and clumsily tried to get a treatment appointment at one of several spas, only to be told at each, that the facilities were for women only. Even extreme bribery did not work. Nor did cozying up to one of the women spa employees. Drat. Lamenting about this sorry state of non-access 2-3 years later whilst teaching at Bastyr in the BotMed program, the head thereof, Dr. Lisa Meserole, told me of the amazing seaweed bath houses on the West Coast of the Irish Republic, especially one called “Killcullen’s” in a small village of Enniscrone. I vowed to one day go there and indulge. Six long years later, one cold wet October day, Pam Montgomery and I finally found ourselves at Killcullen’s Seaweed Bath house, a grand funky establishment hanging on from over a hundred years previously, the epoch of scores of seaweed baths on the west coast of a subjugated long-oppressed Ireland. There was a little tearoom, and a dozen or more private steaming rooms, each with a huge porcelain tub (the walls of which were 5 inches thick to hold the heat) and four corroded bronze faucets, for hot and cold running seawater and fresh water. 10 gallons of fresh Fucus serrattus seaweed was dumped into the tub to cure whilst the soaker was first fastened into a curious wooden contraption called a “steam box”; there was a seat; only my head was emergent from the box. The Quasimodo double attendant told me to pull up on a crude wooden lever to fill the box with steam to ”open up my pores”. When I pulled up joyfully on the lever, hot steam shot out of a previously unnoticed hole in the seat and killed all hopes of future little Drumlets. I quickly pushed down the lever only to discover in deep pain, that even more steam was released on the downstroke. I suspected a plot to punish the invading brits. All more than deserved, of course. Fortunately I was able to return the lever to neutral as sweat of several sorts flowed out of my severely opened pores. At my scream, the photographer laughed and unhooked the sides of the steam torture box and I slumped into 50-60 gallons of hot seawater and much gooey bright green, just-cooked Fucus Serrattus. I soaked for at least an hour in a decidedly mixed humour. In the previous century (19th) the seaweed bath houses were very popular with English tourists, especially honeymooners who would slip and slide with we great glee in the matrimonial long tubs. In later life, some of these same couples would return in perhaps hopes of rekindling the fading romance of love in a cold climate and aging rumpled bodies. As a curious unexpected treat, diminishment of the male urine stream diameter and velocity as a consequence of prostatic swelling and resulting constriction of the respective prostatic urethra, was amazingly resolved. Love shots may have benefited as well. In the courses of two separate distinct visits to the seaweed bathing in 1999 and 2001, we sampled several spas. Our favorite was a mysterious place in Kilkee, where I experienced my first whole body seaweed plaster where “Micronized” special French seaweed mix was applied to my entire decent body. I was then tightly wrapped in a 5-inch thick mylar heating pad and set to cooking far about an hour in low light and annoying Irish hiphop music (the very latest, sir). I went into a claustrophobic panic as soon as the Irish colleen left the room. What a ghastly terrifying negative experience. The next day I settled into the usual 2-hour seaweed soak using seaweed I had helped to harvest myself with the owner’s husband, a jolly hungover lad who smoked a lot. The seaweed was growing in lush beds, 2-4 feet high on a broad limestone ledge several square miles in shallow extent. What great fun. We talked seriously about some Bastyr 4th year ND students coming over and doing some serious research on the health benefits of repeated regular seaweed bathing. This place also had a bed & breakfast facility and the spent seaweeds from the seaweed baths were used to fertilize the luxurious vegetable plots outback. Nice friendly place, nice folks. The colleen had been so kind as to notice my whole body tan as she mentioned that I was the first man to take the Complete Seaweed Plaster treatment. Two years later we returned for another treatment and ALL TRACE of the THALASSOTHERAPY SPA was totally gone. Weird. Killcullen’s and their dangerous steam baths were still there, but the tea room had been discontinued; perhaps due to the discomfiting screams from the steamed patrons? Our repeat favorite is in Strandhill (site of great surfing as well as great seaweeds) near Sligo, the Celtic Seaweed Baths. Dozens of new seaweed bathing houses have been opened on the West Coast of the Irish Republic in the past decade as the practice gains favor and more Europeans move to Ireland for the ambience. GO NOW!! In the mid-1980’s, I read about seaweed bathing in some spas in Santa Fe, New Mexico, particularly Ten Thousand Waves. I passed the article to the Spa manager at a famous local Spa (on Orcas Island). He eventually asked me if I could get him a whole lot of Fucus seaweed to try in the Spa. I said sure. Soon, my sons and I had a boatful of buckets of Fucus Gardneri, which we drove in our old Travellall to the resort early one am after a pleasant channel crossing in our old 18’ runabout. There was no charge for this, since it was an experiment and we liked most excuses to boat out. I gave Jack no particular directions, figuring he would know what to do. Later that night as the many overnight guests were making their respective big moves and the gray and blackwater pipes began to back up to the top floors, and Jack was long gone to home, there was a plumbing panic after the seaweeds had been run down the drains and clogged them totally. Therein hangs a tale. Jack soon was selling real estate and never spoke to me for several years whilst I wondered if the experiment had succeeded. So, dear friends, do not flippantly drain seaweeds and their respective soakouts down your respective drains. Plumber’s afterhours are nearly as expensive as surgeons. In September 2011, whilst visiting Santa Fe, NM, I visited the Japanese-style Spa, Ten Thousand Waves. I was fortunate enough to speak at length with the long-time manager of the spa about their famous seaweed soaks. He said they were forced to discontinue the seaweed baths for two reasons: first, seaweed supplies were erratic or unavailable for too long; second, there was continual clogging of the pool and tub outlet drains by gooey seaweed globs and gel. I sympathized understandably. And, was extremely disappointed at not being able to experience their version of seaweed bathing.